100 HORSEPOWER ROTAX 1000R ENGINE: At 100 horsepower, the roaring Maverick Sport X rc definitely won't leave you waiting at the bottom of the mountain. Battle-tested Rotax V-twin technology has been around the block, around the track and around the world. So it’s only natural that it was the power plant of choice in side-by-side engineering to take you anywhere you want to go…as long as it's a challenge. 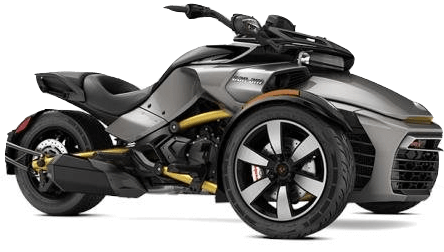 64-IN (162.6 CM) STANCE: It's the Can-Am you expect: engineered to use every last bit of width, this 64-in (162.6 cm) side-by-side vehicle leads in handling, stability, and poise. 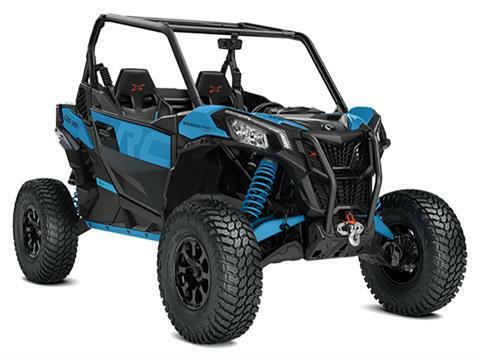 Thanks to its long wheelbase and suspension tuned to excell at rock crawling, the Maverick Sport X rc has capability to spare. 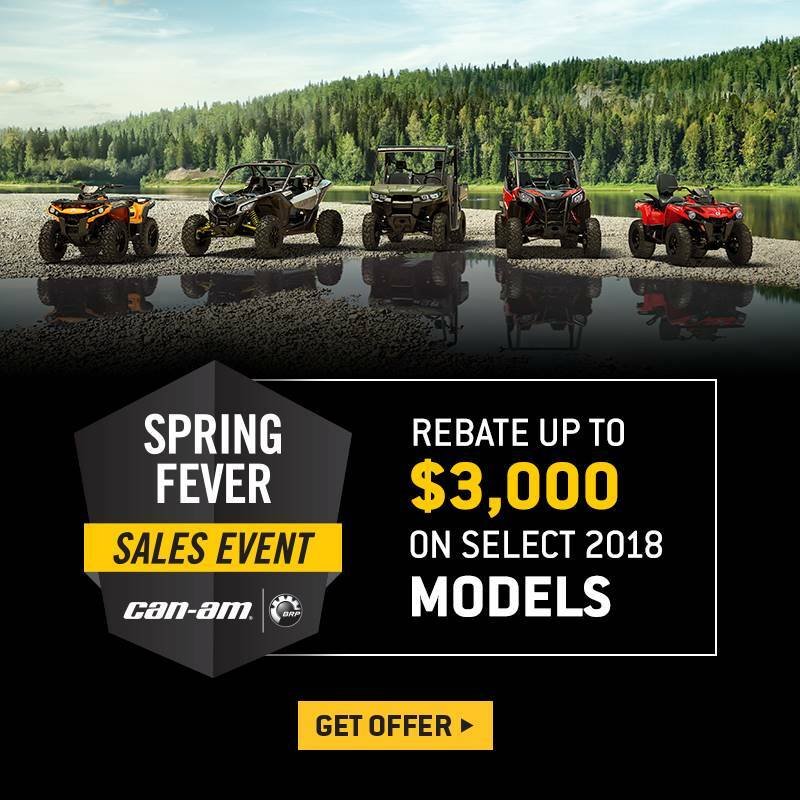 EXCLUSIVE SMART-LOK TECHNOLOGY: Challenging obstacles and reaching new heights is possible with the Smart-Lok*-equipped 4WD system that provides on-the-fly, optimal power transfer to the ground in every condition by fully or progressively locking the front differential. With a Rock mode for rougher terrain and steering that won’t bind up, it puts amazing capability behind the quick push of a 4-mode rocker switch. 30-IN (76.2 CM) MAXXIS LIBERTY TIRES WITH 14-IN (35.6 CM) CAST-ALUMINUM WHEELS: When you're going up and over obstacles, the right rubber really matters. Maverick Sport X rc wears 30-in (76.2 cm) Maxxis Liberty tires with a tread carved for ultimate trail and rock performance, matched with 14-in (35.6 cm) cast-aluminum wheels prepared for punishment. FRONT ARCHED A-ARM, REAR ARCHED LOWER LINKS AND FOX 2.5 PODIUM PIGGYBACK SHOCKS WITH QS3: Engineers endowed the Maverick Sport X rc with front arched A-arm and rear arched lower links for better obstacle clearance and FOX 2.5 PODIUM Piggyback shocks with front and rear QS3 compression adjustment, giving precise, responsive performance at all four corners. DIGITAL GAUGE: You've never seen anything like our all-new multifunction 7.6-in (19.3 cm) digital display. Designed to show all relevant information at a glance in any conditions—even at the altitudes the X rc was designed to reach—get ready to fall in love with this bright, all-weather display. 4,500-LB (2,041 KG) WINCH & FRONT TOW HOOK: Pardon the pun, but a 4,500-lb (2,041 kg) winch and synthetic rope is useful for much more than rescuing friends. Recover during a challenging climb, winch yourself onto your trailer, or move obstacles out of your path. REAR BUMPER, ROCK SLIDERS & FULL HMW SKID PLATE: Even though it's built to go anywhere, the Maverick Sport X rc has a little extra in the protection department. 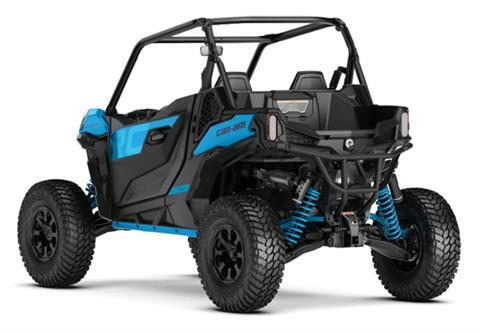 To better deal with rocks, obstacles, and unforseen trail hazards, it's equipped with a High Molecular Weight (HMW) skid plate, front and rear suspension arm protectors (UHMW), rock sliders, and sport rear bumper.